Paige Dolecki - Stampologist: Close to my Heart (CTMH) Deal of the Day Sat. June 13th - Sweet Pea Simply Snapshots FREE ($8.95 value)! Close to my Heart (CTMH) Deal of the Day Sat. June 13th - Sweet Pea Simply Snapshots FREE ($8.95 value)! Close to my Heart's Deal of the Day is a package of 12 Sweet Pea Simply Snapshots ($8.95 value!) FREE with the purchase of any A,B,C,D or E size Acrylix Stamp Set! Simply Snapshots are such a fun product to use! 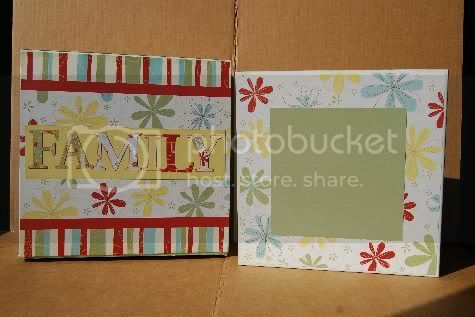 They are 9x9" and printed on both sides with two areas that perfectly fit 4x6" photos leaving a small mat behind them. There is a section for journaling and embellishing that you can rotate any direction to give different looks. 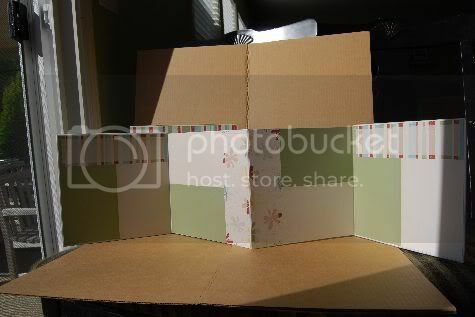 If you use our clear 9x9 page protectors and a 9x9" album you'll have 24 pages (front and back of 12 sheets) for a total of 48 4x6" photos or you can do a larger/smaller photo over the area as seen in the Summer 09 Idea Book pages 50-51. 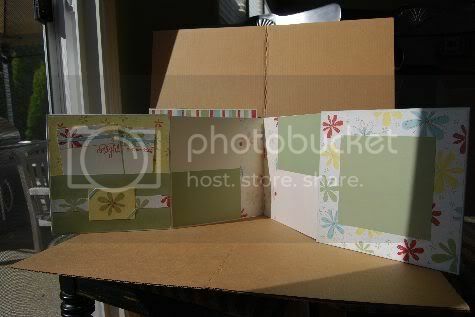 My favorite use for the Simply Snapshots is making one of our a 9x9" chipboard accordian albums ($5.95) as seen above! On this one I used "Let's Get Together" Simply Snapshots and a matching Level 1 Paper Pack (Level 2 also works really well). I like to make a "Stamp Around" cover and a "Treasure Pocket" back page with Simply Snapshots on each of the interior pages. 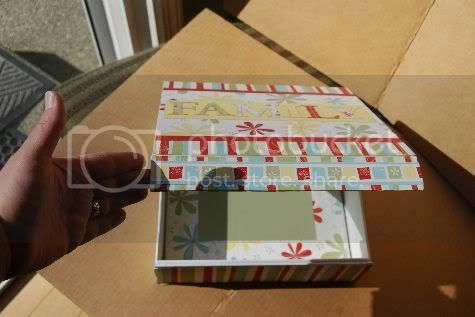 Done this way you can get the interior of 2 albums done with 1 package of Simply Snapshots. You can rotate the headers and there are two patters (front and back) to choose from for variations on design. If you add a matching 9x9 Memory Keeper Box ($6.95) you'll have an incredible custom gift that doesn't take long to make and will WOW any recipient! We have a large selection of Simply Snapshots to choose from to make albums for everything from new baby (Sweet Pea), Wedding (That's Amore or Silhouette), Graduation (Silhouette), Tropical or Beach Vacation (Moon Doggie), etc. There are 12 paper patterns to choose from to fit any occasion! So pick up your FREE package of Sweet Pea Simply Snapshots today and start playing! Love your site...I have a little gift for you at my site.